The Knoxville Fire Captain’s 22-year-old son, Pierce Corcoran, was killed by an illegal alien in a car accident before New Year’s Eve. The unlicensed illegal alien swerved into traffic causing a head-on car crash. The illegal alien is now charged with criminally negligent homicide and driving without a license or insurance. 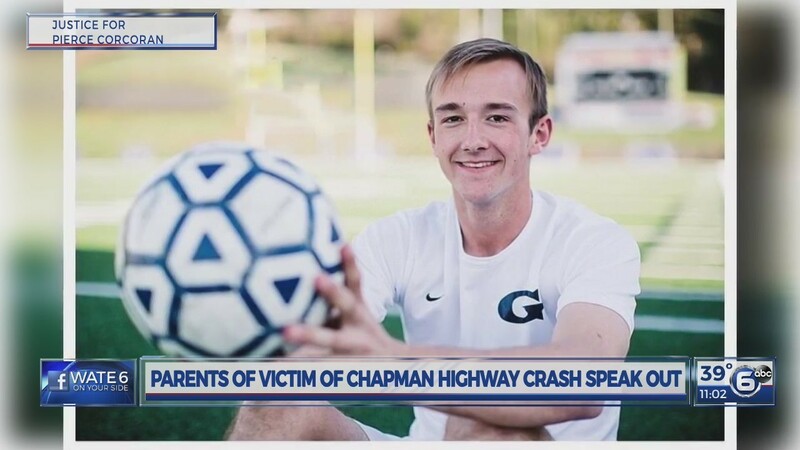 Pierce Corcoran was only 22 years old when he was killed by an illegal immigrant in a car crash on December 29th, 2018. Pierce Corcoran, born and raised in Knoxville, Tennessee. A responsible, hardworking and loving son, brother and grandson. Pierce’s life is to be remembered and celebrated for his relationship with his Heavenly Father, his love for others, and his determination to maintain a healthy lifestyle. Was he perfect? No, but he was taught to care about others and his impact on them. He was taught and practiced personal responsibility throughout his life. He was compassionate towards others, others whom might look differently than he or whom might speak differently than he. As we mourn our precious son and try to honor his memory, we are also faced with the fact that there is much discussion surrounding his tragic death. For us, there are two issues: safety and responsibility. As it pertains to safety, we are not the first, nor will we be the last to lose a loved one on a road known to many as dangerous. This is something we feel must be addressed. As it pertains to responsibility, we as parents taught all three of our children to be responsible for their actions. We discussed with them their need to maintain their vehicles and always have their license, registration and insurance up to date. Everyone is well aware that the 44 year old man involved in our 22 year old’s death did not practice this same responsibility and has not done so for 14 years. Yes, it was an accident and yes, it could have been anyone. It’s not about where this man came from–it’s the fact that he takes no personal responsibility for his actions. Not only in the financial sense, but no responsibility at all. He will most likely face very little jail time when all is said and done. He believes he should remain in our country illegally. Not only that, but we provide his counsel to fight for his rights.